As EMV faces rollout hurdles in the U.S., two major terminal makers, reporting adoption delays from smaller merchants, are paying the price. Additionally, France-based Ingenico on Sept. 6 warned of a sales slowdown because of similar problems. It’s full-year organic revenue will increase 7 percent in 2016 instead of 10 percent, the company said. “In recent weeks, Ingenico Group has been facing a sudden and significant decline in its U.S. market, which accounts for approximately 10 percent of group revenues,” Ingenico said. In part, those slowdowns also stem from a relaxation in EMV liability rules. Visa earlier this year said it would wait until April 2018 to hold merchants liable for card transactions of less than $25, which Ingenico said takes the pressure off of smaller merchants who might be inclined to buy new, EMV-compliant terminals earlier. 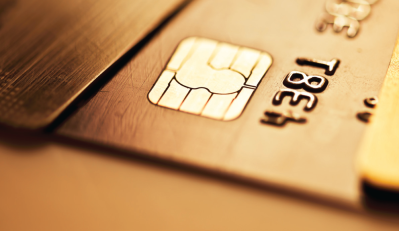 With the general U.S. EMV liability shift last October, most major merchants in the country are equipped to handle the anti-fraud chip card standard, according to analysts, vendors and reports. The latest figures from Visa, released in late August, show that issuers have distributed some 335 million EMV cards in the U.S., a 173 percent increase from a year earlier. Nearly 30 percent of all U.S. merchant locations accept EMV cards. Visa recorded more than 500 million Visa chip card transactions in July, 16 percent more than the same month last year. Counterfeit fraud with EMV-accepting merchants dropped 38 percent in April compared with the same month the previous year.